There’s a trap many of us fall into when we expand our team. It’s the management trap. 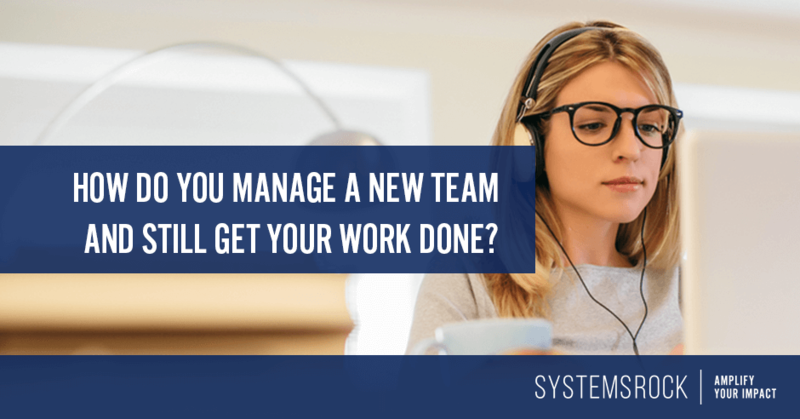 It happens when we expand our team quickly – bringing on multiple new team members at once or in a short period of time – before we have systems in place to help us grow efficiently. Suddenly, we find ourselves managing and training a new team, creating and documenting systems as we go, and struggling to find a way to pay everyone when there’s no time left for generating new business. Let me encourage you! There is a way out of the management trap. Follow my suggestions and with a little time and a lot of hard work, you can move your team in a positive direction. Design a “starring role” for each position on your team. Move beyond a job description and a set of tasks to identify the values, knowledge, and skills needed for success in each role on your team. What does your team member need to know to do the job with excellence? How can the team member add his own expertise or her own personal experience to the role to improve it? Next, identify the processes needed for the person in this role to have maximum impact on your team. Which ones are already in place? Which ones exist in your head but have yet to be documented? List the processes and the desired outcome of each one. Introduce your team members to their unique roles and train them to the existing processes for those roles. It’s never too late to properly train your team. Even if you brought on team members without a consistent plan for training and onboarding, you can still circle back and give them what they need to be successful. Why take the time to do this? Because the members of your team need to understand the role they fill before they can take ownership of it. Schedule training sessions – individually or as a group. Give your team your focused attention and support by sharing expectations, listening to concerns, and answering questions. Sure, this takes a bit of time. But, trust me, this is time well spent. Empower your team members to create processes for their roles. Remember that list of required processes you created? Rather than allocating time during your week – or giving up your weekends – to document systems and create processes, I recommend you encourage your team members to do this work for you. Give them guidelines to help them, and tie those guidelines back to the core values you shared during training. Provide tools and resources to help them. Gather them into functional teams so they can work together on processes that overlap. Most of all, give them the freedom to be creative as they achieve the desired outcomes you set before them. Use a project management tool to help you monitor their success. Implement a tool such as Asana to help you monitor the actions of your team, encourage them to collaborate together, and track progress toward shared deadlines. The tool itself isn’t important. If Asana doesn’t work for you, there are many other options. The key idea here is to move your management system away from constant interruptions and a jumble of sticky notes or random emails to a central hub you can easily use. The management trap happens in part because the details being managed increase as the team increases. As the leader, you need a tool to help you coordinate all these details, facilitate communication between team members, and keep the work flowing. Doing it all the way you’ve always done it simply won’t work. How do you avoid the management trap? Use the same steps. The steps you use to break free of the management trap – designing roles, creating processes, training and onboarding, and implementing a project management tool – are helpful for avoiding the trap as well. 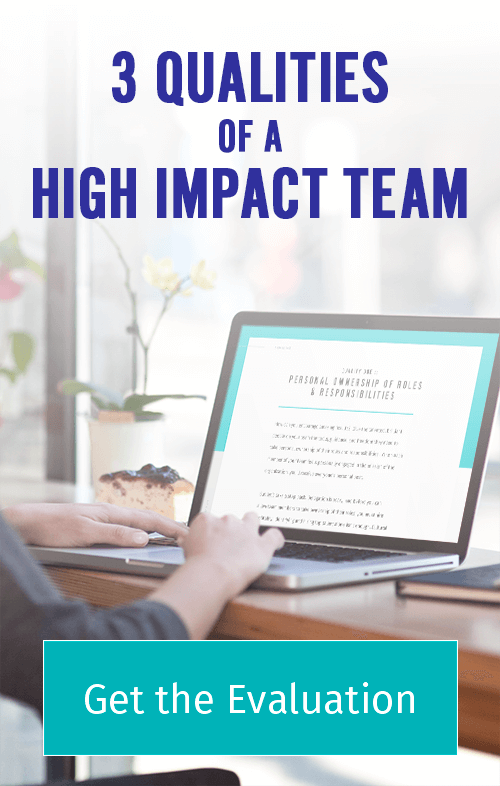 They are crucial for business owners who wish to lead a high impact team. When you take the time to design roles and create systems, you provide your team with the tools for success. Proper training and onboarding allows team members to quickly take ownership of those roles and begin using the tools you’ve created effectively. Proper use of project management tools give you the ability to monitor without micromanaging, provide leadership, and empower your team to work efficiently. If you’re stuck in the management trap, I want to encourage you to carve out time in your schedule to work on these steps. With focused attention, you and your team can break free from the trap and move forward successfully.